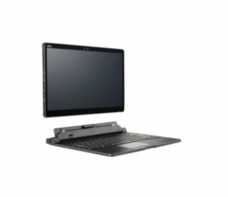 The FUJITSU Tablet LIFEBOOK T938 is a versatile 2 in 1 that meets the dynamic demands of today’s mobile professionals. 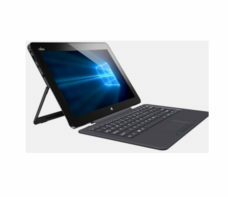 Its enterprise-grade security, lightweight and ultra-thin design with durable magnesium housing, enable you to be productive at all times. A simple flip of the super crisp, rotatable 33.8 cm (13.3-inch) FHD display with pen and touch support is all it takes to switch between tablet and notebook mode. 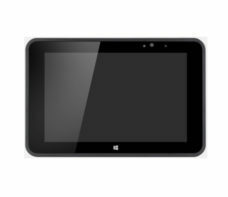 The FUJITSU Tablet STYLISTIC Q738 is a highly durable and secure 2–in-1 detachable that meets the demands of today’s mobile professionals. Its 33.8 cm (13.3-inch) FHD anti-glare display with pen and touch support, and 8th generation Intel® Core™ i7 processor technology ensure excellent performance, even when you’re on the go. 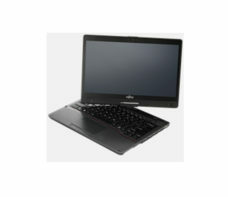 The FUJITSU Tablet STYLISTIC R727 is a GS certified 2 in1, with a 31.8 cm (12.5-inch) anti-glare display transforming into a full performance and full productivity notebook by simply attaching the strong yet slim magnetic keyboard. 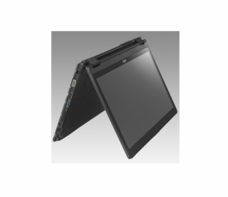 Its magnesium-aluminum housing delivers durability for business pros on the move, presenting in tablet mode or working in notebook mode anywhere you like. The FUJITSU Tablet STYLISTIC V535 enables new levels of productivity in industrial settings. It is made for rough environments thanks to a water and dust resistant yet lightweight design and combined with a 21.0 cm (8.3-inch) display with toughened glass. Ultimate connectivity and navigation options like 4G/LTE, NFC, GPS and GLONASS as well as a long battery runtime let you stay connected wherever you are. Easy integration and security are enabled due to Windows 8.1 and TPM.